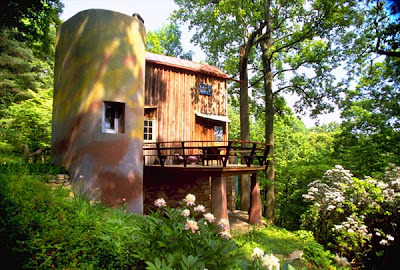 Last Saturday, my family and I toured the Wharton Esherick Studio in Marvelen Pennsylvania, half an hour from Philadelphia on the Main Line. 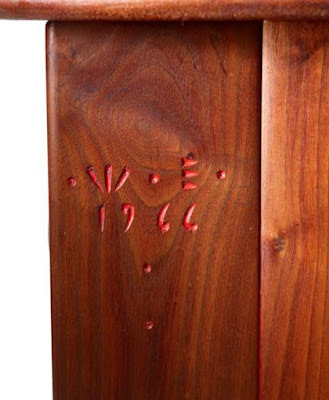 The Studio documents the life and work of the acclaimed sculptor Wharton Esherick, famous for his Arts and Crafts movement inspired furniture. The central house's design with trap doors and built-ins alludes to a captain's cabin. The hour long tour was truly an inspiration both aesthetically and also as a minimalist lifestyle. Everything in the house has a practical application in addition to aesthetic appeal. I urge anyone visiting to the Philadelphia area to make the trip to see the House/Studio. 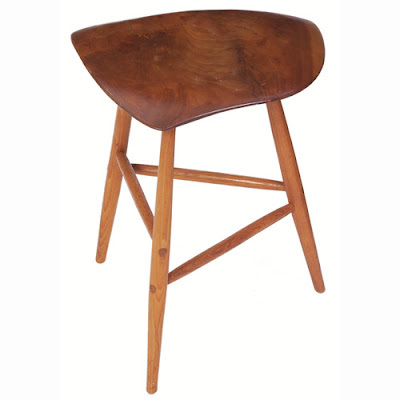 When my yuppie career gets rolling, a Wharton Esherick stool will be my first piece of art. Here are some photos from my tour and some I found on Google.